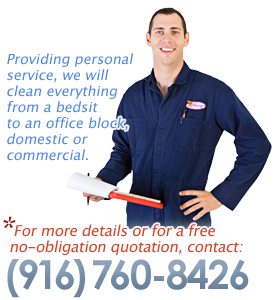 Water Damage Restoration Sacramento is a provider of expert water damage repair services. Each year, frozen pipes burst in empty homes and in occupied homes, drains are unknowingly clogged and overflow, water heaters crack and leak, hurricanes cause flooding, and various other accidents, mishaps, and forces of nature cause grave damage to home and other buildings. If something has caused water damage to your home, it is extremely important to act as quickly as possible to get rid of the water, prevent further damage, and repair the damage that has already been caused. With each hour the water sits, mold and other contaminants can multiply, and the water and dampness can break down structures. Both of these can lead to serious reparations required in addition to the water damage itself. Because we know exactly how time-critical this issue is, Water Damage Restoration in Sacramento, CA is ready and capable of assisting you in every step of the way for water damage restoration. Water Damage Restoration Sacramento is able to provide the following services to make your house look and feel as if there was never an issue: water extraction, entire structural drying and dehumidification, crawl space cleaning, basement cleaning and drying and mold remediation (including testing for mold). We are also able to assist you in packing your contents if needed, and performing a final round of disinfection and sanitization before leaving the site. 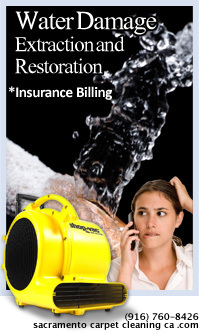 Why should you choose Water Damage Restoration Sacramento over other companies? We have a long-standing reputation for our trustworthiness and our expert employees. We have thoroughly trained our employees so that they can handle any near-disaster situation. 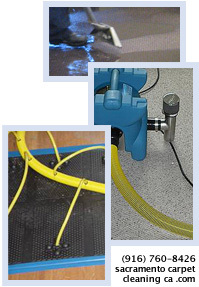 The hazardous job of water damage extraction and restoration should furthermore be left up to professionals because we have the necessary safety equipment (goggles, waiters, boots, hard hats, etc.) and know how to use professional machinery properly to ensure accurate use and safety. Water Damage Restoration Sacramento experts know which steps to take to follow industry best practices. First, we will check the safety of the damaged structure; if the structure is determined unsafe for entering, we will assist in getting this done first. If you have not already done so, we will cut off the main water valve and natural gas pipe, if necessary. If a pipe has burst, this is a critical step in preventing more water damage. We can assist you in determining if an entire move out is required, or how and what of your personal property needs to be secured. We will then set up and use our top-of-the-line water extraction and dehumidification machinery to rid the structure of water. Most damaged material should be removed so that harm to surrounding materials doesn't occur. Flood damage and water damage can wreak havoc on homes and buildings. But, with a quick phone call to Carpet Cleaning Sacramento at (916) 760-8426, we can hugely cut down on the impact of water damage and assist you throughout the entire process of returning your home to its previous state. We are happy to offer our services for minor or major jobs.